Posted on May 9, 2016 at 09:18. All Hope Industrial Universal Mount Monitors are fully enclosed and feature a standard cable exit interface to allow the cables to exit the display enclosure while maintaining an IP/NEMA-rated seal. 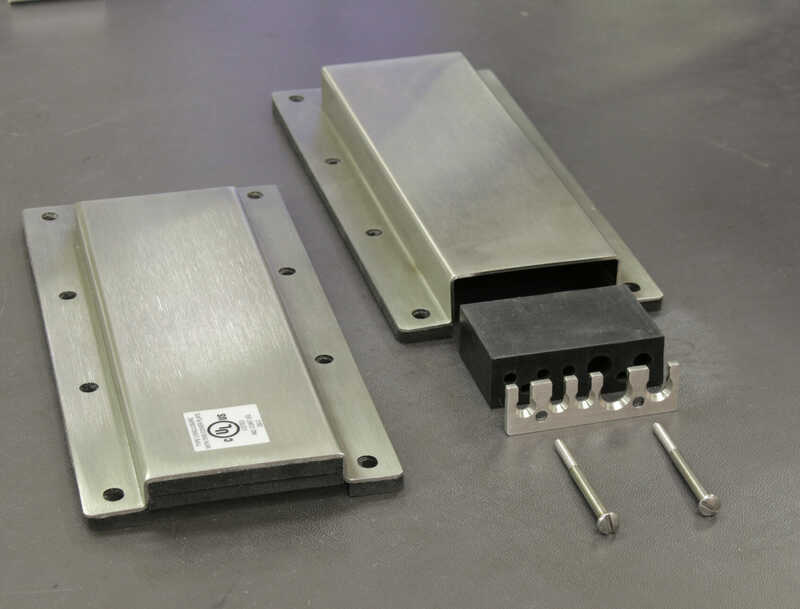 Since every customer’s mounting requirements are different, we provide a variety of cable exit plate options including compression glands, conduit, and blank cover plates (with pre-drilled pilot holes). 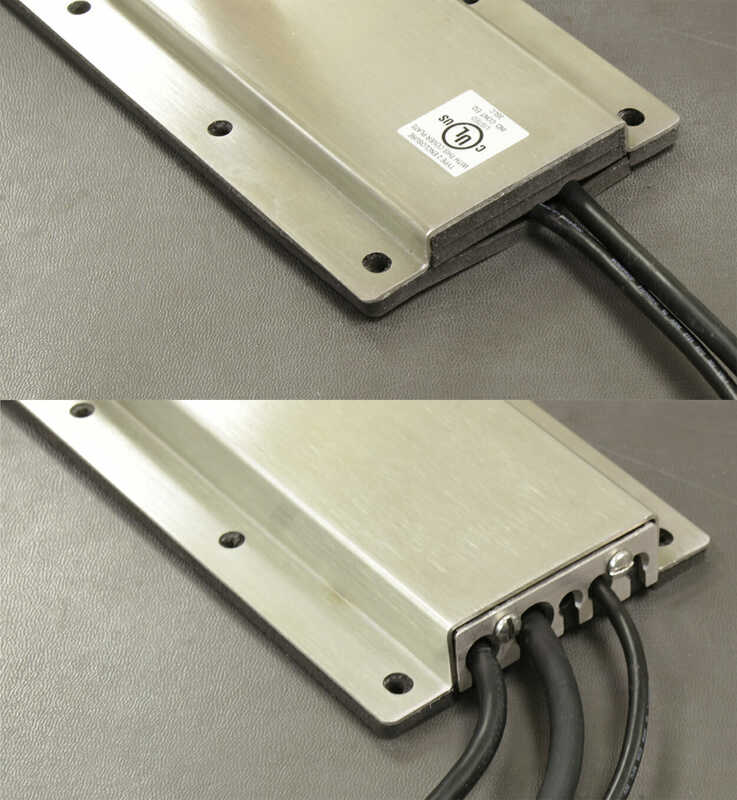 Our compression cable exit plates are available in two different types depending on the final enclosure environmental rating required by the customer: NEMA 2 (IP22) or NEMA 4/4X (IP65/66). While these cover plates appear similar once fit to a Universal Mount Display, they are fairly different in design and application. When a full, wash-down-rated option is needed, our NEMA 4/4X (IP65/66) compression glands provide a simple but effective means of sealing the necessary video, power, and USB cables as they exit the display. After making the cable connections inside the cable cavity of the display, each cable is inserted into the flexible EPDM rubber gland through a slit in its base. The gland has multiple hole sizes for each required cable, and block-offs for unused holes. 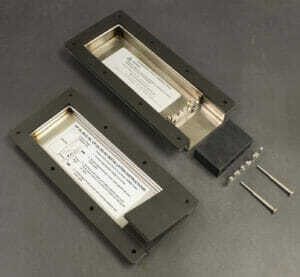 The gland is then put into position in the cover plate itself, which is installed onto the display. Finally, a stainless steel compression plate is installed using two stainless screws. This plate compresses the rubber gland, creating a water-tight seal. The entire assembly can be easily disassembled and reconfigured as needed. These cover plates use part numbers starting with CP-RGxx and are available in both stainless steel (NEMA 4X) and black powder-coated steel (NEMA 4) configurations. For an example installation manual click here. In many cases a full NEMA4/4X solution is not required. NEMA 2 (which loosely corresponds to IP22) allows for protection from dripping or light splashing of water and ingress of solid objects (falling dirt). A full description and comparison of NEMA and IP ratings can be found here. When only this level of protection is needed, our NEMA 2 compression gland provides a simple and low-cost solution. The cables are routed in between layers of PORON urethane foam (the same materials used to seal our Panel Mount Displays) which is then compressed to form a seal around the cables. 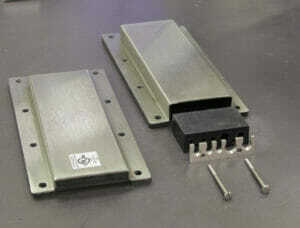 Installation is very simple and protection is adequate for NEMA 2 environments. These cover plates use part numbers starting with CP-GLxx and are available in both stainless steel and black powder-coated steel configurations.